a pared-back design makes this sleek and slim collection as light as the feathers on a whitebird’s wings. crafted from sustainably sourced solid European oak wood, light and creamy surfaces lend a classic and polished look. our tv cabinet features two single-shelved closed compartments (one flip-down door and one door) and two drawers that provide plenty of space for your DVD player, game console, remote controls and so much more. a convenient keyhole in the back of the chest ensures cables are neatly kept together. love this piece but looking to create more contrast? check out our sister collection, blackbird! 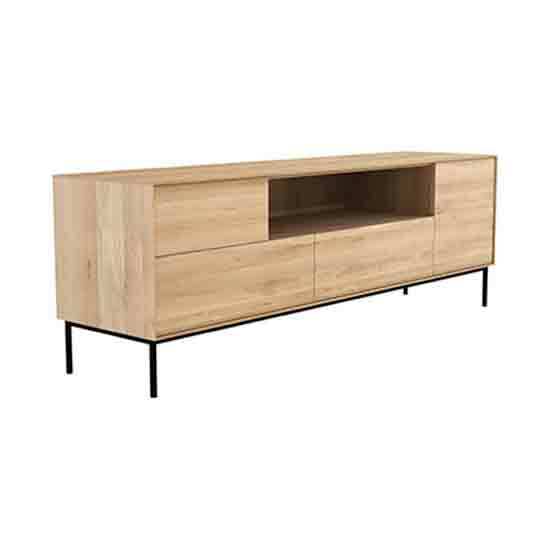 whitebird tv cabinet with 1 door, 1 flip-down door, 2 drawers was added to your cart!